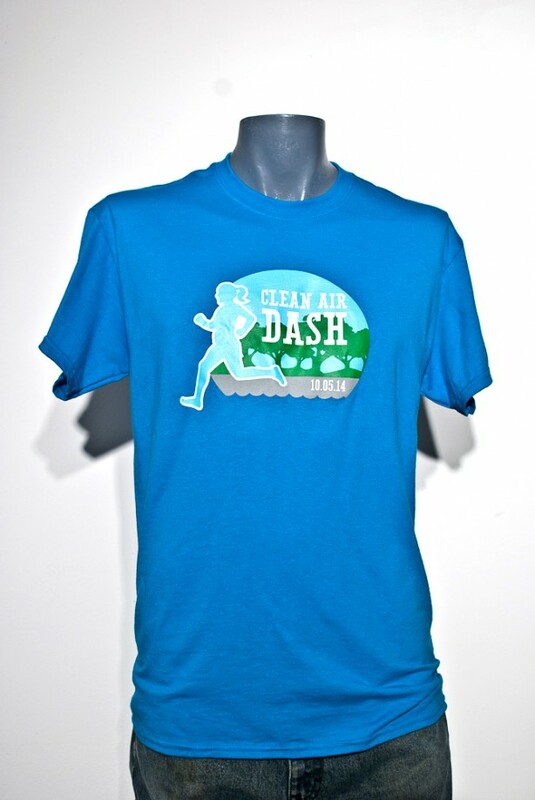 Three color screen print (blue, green, grey) on blue t-shirts for Clean Air Dash 5k. Merging creative design with screen-printing capabilities and a multi-color carousel, The Graphic Hive prints original designs, team logos and more on clothing or other fabrics! Accommodating any amount of merchandise per order, get custom-printed shirts, pants, or jerseys for many functions! © Copyright 2015 The Graphic Hive.